St. “Practice” Day is a fun preparation celebration! 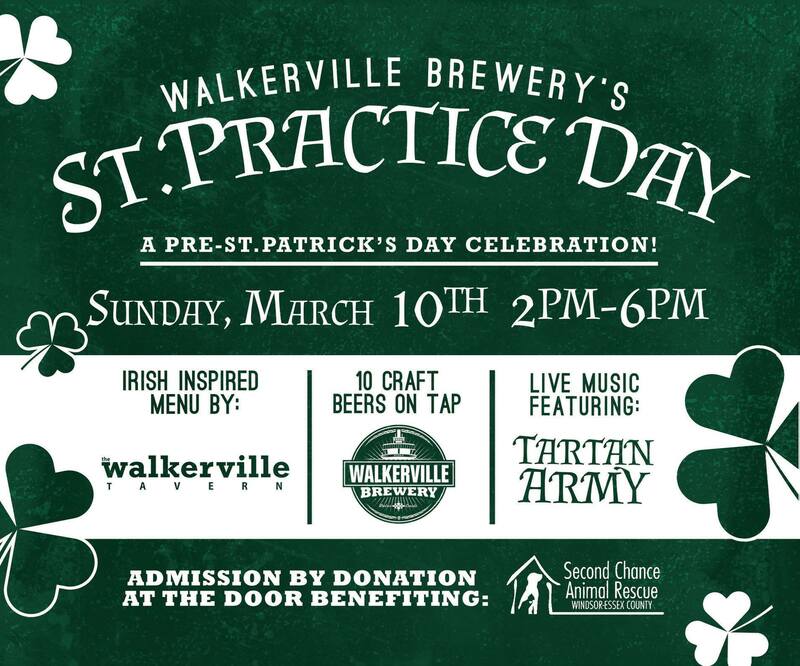 Enjoy live music by Tartan Army, festive bites by Walkerville Tavern and of course, craft beer by Walkerville Brewery! Festive/Green attire is encouraged! Admission by donation at the door to benefit the Second Chance Animal Rescue. Get “practicing” with us Sunday, March 10th from 2-6pm!